Living Metrics captures the digital reach of a specific entity across a range of social media, measuring the quantity and quality of network relationships over time. In Part 1 of this series, we map the digital reach of the Geneva Global Goals Innovation Day @G3InnovDay on Twitter prior to the landmark event. Data-sets powered by Living Nethos. Click here to bring Network Intelligence mapping into your organisation. 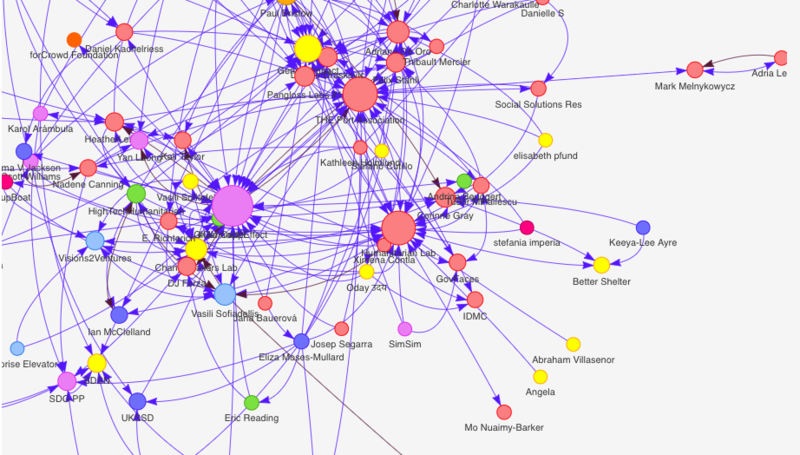 What are the functional roles of Influencers on the @G3InnovDay network? Analysis of this network reveals nine categories of Influencers in the G3iD universe, based on a survey of the Top-100 entities mentioning @G3Innovday in the timespan of 1 March – 20 March 2017. Each category is defined by group functionality, and listed in descending order by the potential to offer material support to project partners for implementing SDGs. As such, Accelerator appears first on the list, for high-material support, while Supporter ranks lowest, i.e. little or no material support. Taken together, the Accelerator (2%) and Workhub (7%) categories account for 9% of the total network, implying modest material support for project partnerships as a whole. What are @G3InnovDay followers mentioning? Of the 291 followers of the @G3InnovDay account, 65 entities tweeted using the event. This represents 18% of the total followers. 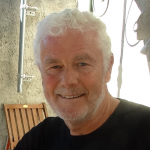 Among the main replicators are: Connect2Effect, The Port Association, Humanitarian Lab, ITC and Paul Bristow. By contrast, 108 beads (30% of total followers) tweeted on SDGs. 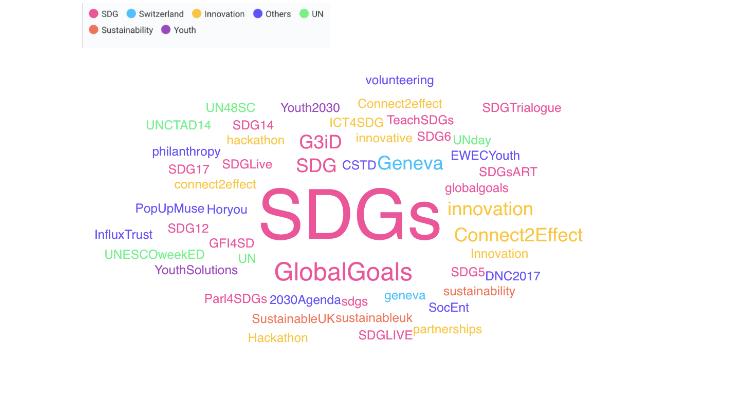 This indicates that the online community in which G3InnovDay is inserted is very specific and revolves around a number of topics, including SDGs. Although the discussion was intense, it did not focus on any specific SDG, but on a general level, with the exceptions of SDG 2 and 17, which were partially mentioned by SDSN, UKSSD, Beyond CSR Net, Conneally, Cherry checkout and SDG Aruba. Semantic analysis on this network also shows greater use of hashtags for specific SDGs (differently from the followers network of @g3innovday that only mentioned the term SDG in general and the SDG#2 and SDG#17 in particular). For example, SDG2 was the most mentioned, 34% of the total mentions, followed by SDG 14 (19%), SDG 13 (16%) and SDG 7 (10%). Interestingly identify influencers that with their digital reputation and reachability have contributed with the viralization of the event, but nevertheless are not part of the community of followers of @ G3InnovDay. Such is the case of the UN, Amina Mohammed (Secretary General of the UN) and Paul Polman (CEO of Unilever). 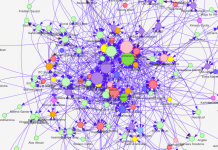 Several organisations are constant in the top-10 for Network Influence, including #Connect2Effect, The Port Association, Humanitarian Lab, ITC Innovation Lab, and GenevaImpact. Aside from organisations, several personal accounts appear within the top-10, namely Corinne Grey, Paul Bristow and Adriana de Oro. Within this category several new entries join the top-10 rankings, namely Geneva Impact, UN University and SDSN. While these nodes rank lower for total posts with mentions of @G3InnovDay their strong Delta ranking indicates high volume of original Tweets and low volume of RTs. The geographic distribution of the @G3InnovDay followers offers a view of regional hubs, which, if expanded from this base, can migrate over time to reach new territories. As of 20 March 2017, this network showed a high concentration of nodes in Switzerland (48%) followed by Canada (14%) and United States (10%). A total of 139 accounts used #G3ID in the 90 days prior to the event. This represents almost twice the number of accounts that raised the issue within the community of followers of @G3InnovDay. In addition, the activity between these accounts was intense, approximately 2’904 links between Follows, Mentions and Replies. The interconnectivity of this network is superior to the community of @G3InnovDay followers, showing 7.57% and an average connectivity of 10 links, as compared to 0.52% and an average connectivity of 2. In Part II of this series we examine the tremendous growth of the @G3InnovDay community in the days following the event, establishing a regional forum for collaboration and co-creation for implementing the SDGs. As a journalist, I find this an extremely interesting approach to how people respond – plus being able to have a better idea of who is involved and how.